Enhance your musical knowledge, participate in a rich and diverse musical community, and engage in creative music making. If you want to invigorate your musical life, this is the camp for you! 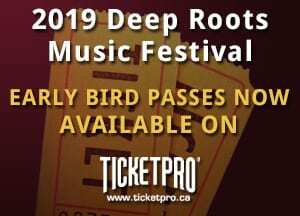 Deep Roots Music Camp is a three day workshop series in conjunction with the Deep Roots Music Festival September 23 – 25, 2015. Glean new songs, arrangements, vocal techniques and instrumental skills three hours daily for three consecutive days in a class with the same instructor. Offering more than just training, the Deep Roots Music Camp will reinvigorate you musically, as well as invite you to connect with a unique creative community. The camp will accommodate all levels from beginner to advanced, and will operate in an inclusive, collaborative environment with coaching from some seasoned pros. With the small class sizes, individuals will be able to get the support they need, and the groups will all work on the same material, with less or more complex versions to suit the students’ abilities. Deep Roots Music Camp will provide a wonderful opportunity for an exploration of yourself and of music. You will form meaningful musical and personal connections with others and with your own creative identity. Music Camp registrants are given a discount of 10% on Festival passes, are also invited to have meals with performers and volunteers during the festival and to attend our private After Hours party on Saturday, September 26th. , (902) 542-7668 for more information or to sign up. Registration deadline is September 18th, 2105. Kim Barlow & Old Man Luedecke will co-facilitate a clawhammer banjo and rhythm guitar (and ukulele) class. Students with banjos will learn the classic old-time “bump-ditty” rhythm, chords to accompany songs, tricks for joining in jam sessions, and learn to pick melodies on some classic old-time tunes. Guitar and ukulele participants will play chordal accompaniments to old-time tunes and learn about groove, support, bass runs and picking technique. Heather Kelday will lead students in exercises for generating song ideas, help them learn how to edit and how to choose musical ideas that support the lyric material of their songs. Dennis Robinson will work with fiddle and mandolin students, teaching them the basics of traditional music and jam etiquette, working on groove, bowing styles for fiddle, and lots of great tunes. There will be lots of singing in all of the above classes, and students who want to participate but don’t have an instrument can still take part. There will be demonstrations of harmony singing and how to find harmonies, and plenty of songs to find your voice on. In slow jams, one of the instructors will lead the group in playing songs and tunes both familiar and new, calling out the chord changes so beginners can follow along. This is a great opportunity to learn jamming etiquette, how to pick out chord changes and melodies by ear, and practice taking “breaks”. Students are also invited to call out tunes to play, and the direction the jams take will be informed by the participants’ musical preferences. On Saturday morning, students will have the opportunity to perform songs they worked on during the camp, and the songwriting class can debut their completed masterpieces. This concert is open to all festival-goers, so prepare to strut your stuff.